My least favorite time of the day is BEDTIME! I know I sound a little mean when I say that but a lot of the time it’s not peaceful. We are trying a few different things to make it more enjoyable so I’m crossing my fingers it will stick. The point when things get really crazy is when it’s time for Damon to brush his teeth! He does not like to do it and it usually ends with me doing it for him which he doesn’t like either. Gasp! So when Firefly contacted me about writing a review for their toothbrushes I laughed a little because I thought I would be writing about how he wouldn’t use it. Well, let me tell you I was SO wrong! Damon LOVED this brush! Right out of the package the Star Wars the toothbrush put a huge smile on his face because he is obsessed with Star Wars right now. Don’t worry, there is Hello Kitty and Barbie ones for the girls 🙂 Once he pressed the button and the lights came on and the music and talking started he got into character! Ha! Now, did it help him brush is teeth? Yes, it did. 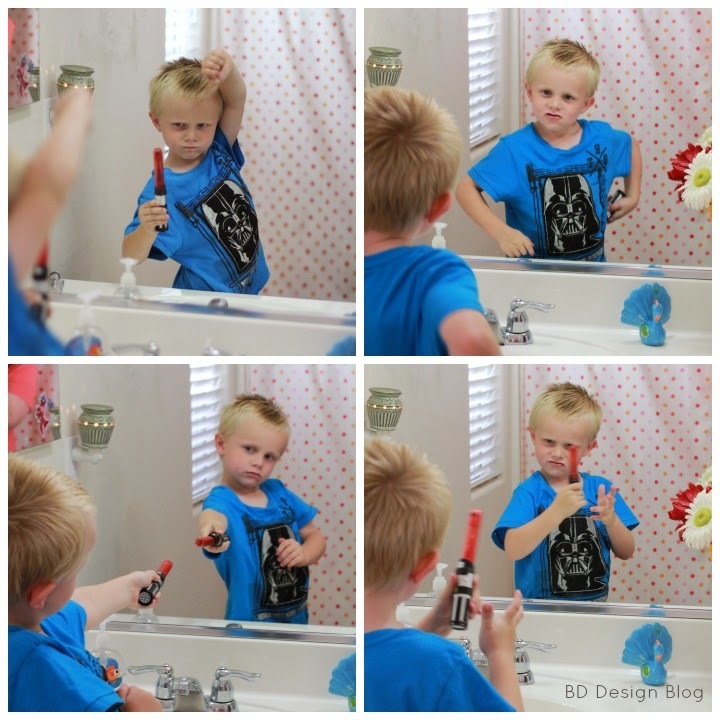 The was ZERO resistance to me when I told him it was time to brush his teeth. He happily did it for the entire 2 minutes that the song played acting in character the entire time. 1. Set a routine. For us, Damon knows that once he gets his pajamas on and brushes his teeth, then he gets a song and a story which is a huge reward to him. 2. Lead by example and brush along side of them. 3. Buy a toothbrush that fits your child’s mouth and fits their little hands. Some of those brushes are HUGE and uncomfortable. The Firefly toothbrushes are the perfect size for small children. 4. 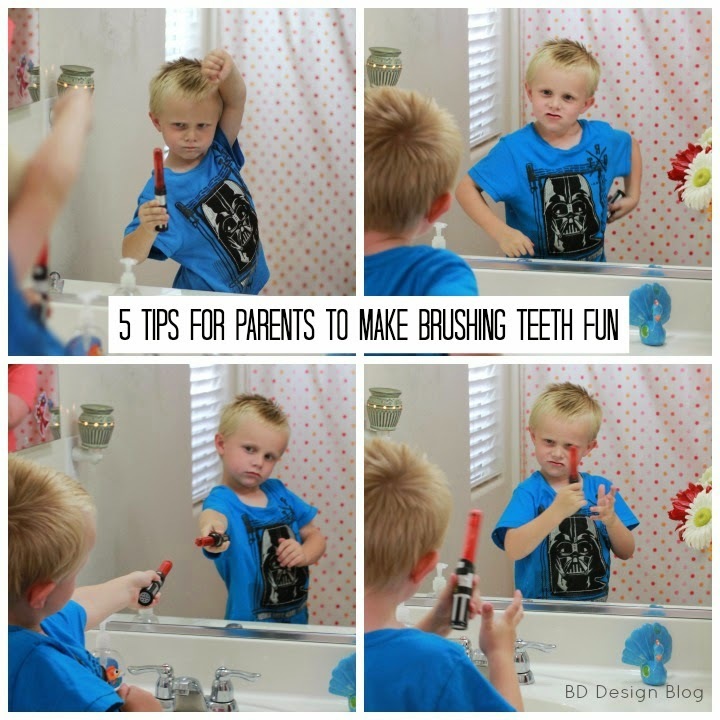 Let your child pick out their toothbrush with their favorite characters on it. Fire Fly has so many options: Star Wars, Angry Birds, Spiderman, Barbie, and Hello Kitty. 5. Do a silly dance or sing a fun song while they are brushing to create a fun atmosphere and spend some quality time together. 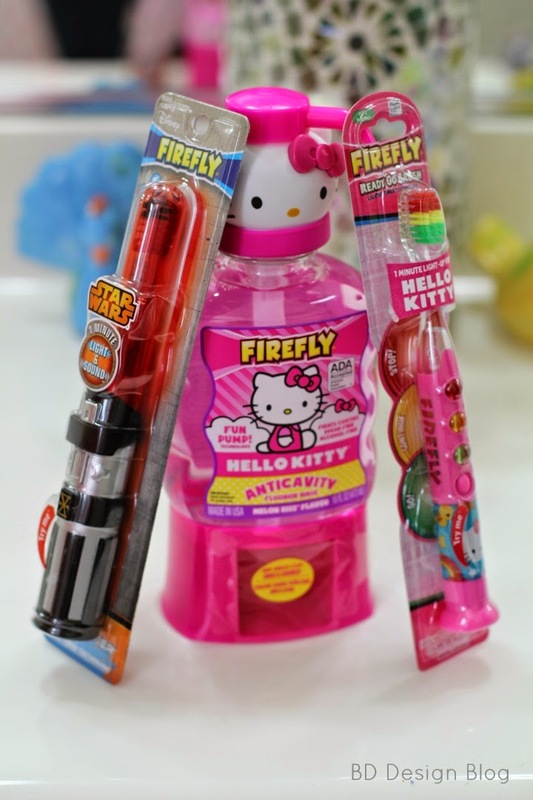 Firefly also sent us some Hello Kitty mouthwash that my girls loved. It has an insert within the bottle for a measuring cup so I doesn’t make a mess. 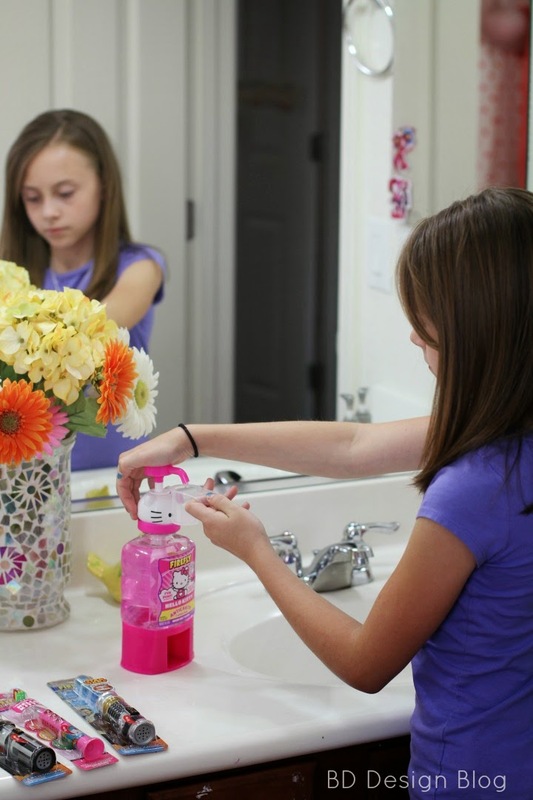 Avery loved the pump feature on the bottle for an easy and precise measurement! If you haven’t tried out these fun toothbrushes yet, I would totally recommend you picking some up the next time you are out shopping! Firefly is hosting a giveaway right now on their facebook page for the #brushbattle sweepstakes where you have a chance to win a vacation for 4 to California! What?! How cool. Head over now to enter!